Glenn Richey “Rich” Britt, 67, of Roseville, IL passed away Monday, July 9, 2018, 9:05 a.m. at OSF St. Francis Medical Center Peoria, IL. He was born Sunday, July 30, 1950 in Galesburg, IL the son of Lee and Cynthia (Glass) Britt. He married Cheryl Greenstreet Grier on May 25, 1974, in Coldbrook Christian Church. He is survived by his wife Cheryl of Roseville, IL; children: Paul (Natalie) Britt of Wyanet, IL, Jill (Brett West) Britt of Glasford IL, and Robb Grier of Minneapolis, MN; grandchildren: Jessamine Cafferty Britt, Layton Michael Britt, Jordan Richey Britt;brother-in-law Steve (Teresa) Greenstreet; nieces and nephews Phil (Judy) Britt of Galesburg, IL, Sally Britt of Monmouth, IL, Lonnie (Patty) Britt, Jennifer (Jim) Day, Kristen (Ryan) Bosch; aunt Llewelyn Britt; and several nieces, nephews and cousins. He was preceded in death by his parents, 1 nephew (Marty Britt), 1 brother-in-law (Grover Drengson), in-laws (Bernice and Lee Greenstreet), uncle ( Ralph Britt), uncles and aunts (Glenn & Pearl Glass and George & Catherine Glass). Rich graduated from Warren High School in 1968; he graduated from Illinois State University in 1972. He worked at Huskee Built from 1972-1979. 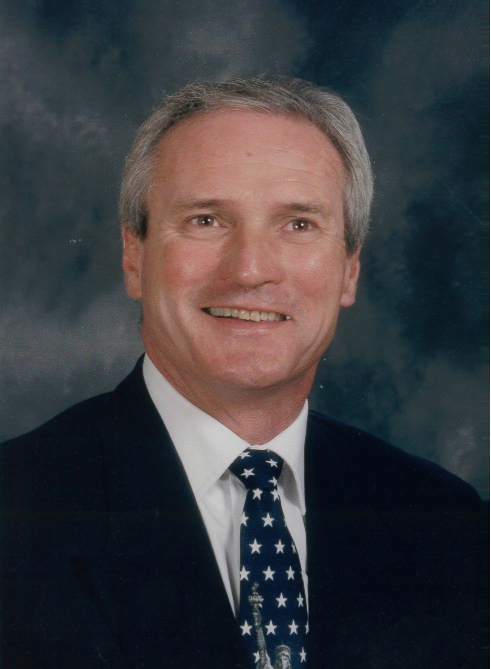 He started teaching and coaching in 1980 and retired in 2014. He was a member of the Roseville Jaycee’s, Roseville Fire Dept. for 37 years where he was secretary and treasurer, and the Living Light Church of Roseville, IL. Rich was involved in numerous community projects and was always willing to help. Rich taught, coached and was involved in many sporting events and teams and the family requests if you have a shirt from one of those teams wear it in memory of him at visitation. Funeral service will be Monday, July 16, 2018, 10:00 a.m. at the Wise Family Funeral Home Roseville, IL. Visitation will be Sunday, July 15, 2018, 4:30-7:30 p.m. at the Wise Family Funeral Home. Burial will be in the Warren County Hope Cemetery, Galesburg, IL. Memorials may be made to the Roseville Fire Department, and or the American Cancer Society. Please sign the online guestbook at www.wisefamilyfuneralhome.com. Wise Family Funeral Home is in charge of the arrangements.